Happy Pre Superbowl to all! Sure hope the Pats do it again. Second of new announcements for 2019! 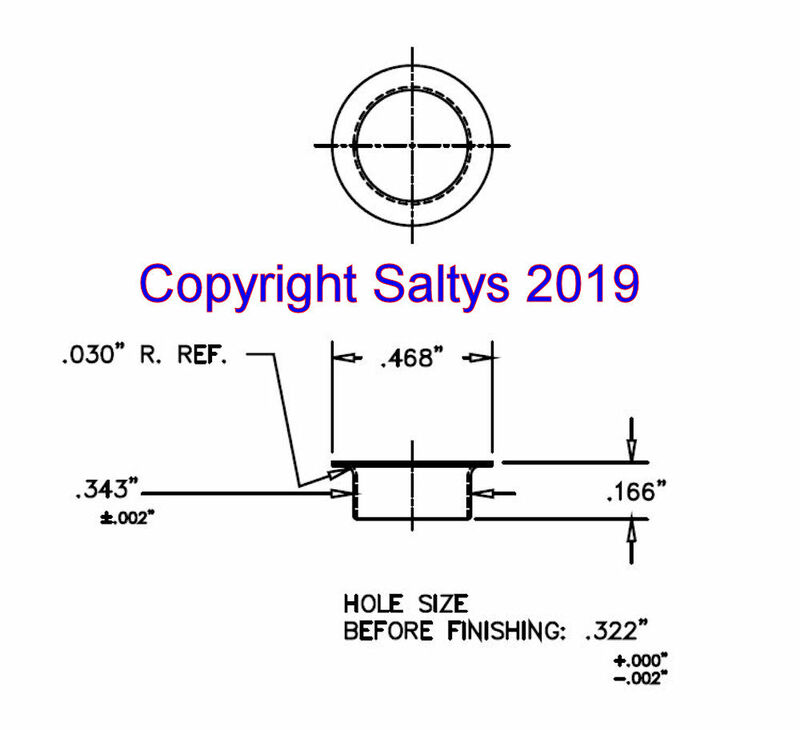 I have signed the purchase order & contracted for the tooling to make the large .343 size belly grommets that fit larger #1 and 1/0 Krok swivels. We will soon have these available in major quantities in nickel plated brass. Very soon! The new Dalton Special kit is being kitted this week and hope to have on the website shortly! The RISAA plug building Seminar/presentation for Saturday & Sunday has progressed very nicely! Hope to put the finishing touches on the Powerpoint doc this week! I think you will like this and I expect this to be a big draw! Some of the topics include: Different types of lures, what makes a good lure and why, actions, techniques & more! Stay tuned! Remember to check us out on Facebook! Have been posting lots of new pictures as finished lures get done for Spring! FINISHED LURE orders over $125 this week only will ship free anywhere in Continental USA. We will credit the cost of shipping to your order before it's processed. If paid via Paypal we will credit back the shipping cost when the order is processed. No kits, wood, wire, etc etc etc., Finished Lures only! No Hawaii or Alaska sri. We will do this on any Finished Lure orders until midnight Friday! After that it's back to the all new USPS rates. Yes they went up another dollar tomorrow!